Tim is CEO and co-founder of Airtasker - a trusted community marketplace for people and businesses to outsource tasks, find local services or hire flexible staff in minutes - online or via mobile. Tim is also a founder and director of Tank Stream Labs – a co-working space and entrepreneurial community located in the heart of Sydney CBD. 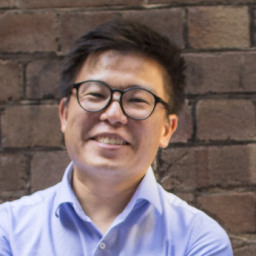 Prior to starting Airtasker, Tim was a founding team member and investor in mobile startup amaysim, playing a key role in strategy and capital raising. He is a founder and director of several web startups, including online custom shirt design business Joe Button, and motorsport event management group Circuit Club. Tim has worked as a consulting talent agent at Chic Management and before this, spent five years as an investment banking executive at Macquarie Bank. Tim has a B.Commerce (marketing) from UNSW and was a recipient of the 2016 UNSW Young Alumni award. "Dedicated to getting your tasks done!" Fiona D. said “We assigned Timothy the task of cleaning our indoor water feature. What a delight to discover our Tasker just happened to be the CEO of Airtasker!! Impressed to see the boss getting out on the job and getting in amongst it! Mario V. said “Tim was very quick to deliver food to our office. He's such a nice guy that we offered to let him join us for lunch. Wai P. said “Excellent client with clear communication & easy to follow instructions. I am looking forward to working for him again. High recommended! Joe C. said “Tim is an absolute Gentleman and professional businessman in every aspect. From assigning the task through to payment release his communication was exceptional. If you ever have the opportunity to assist him with any tasks grab it with both hands are you will see firsthand what a lovely man he is. Tim is an enormous asset to the Airtasker team and I look forward to dealing with him anytime. Evaldas A. said “Clear task, very good communication! Thank you for your task. Christian B. said “Pleasure to work for - good communication and straight forward task with clear instructions. Would happily work for again. Anne D. said “Easy, straightforward task. Tim was pleasant & charming to deal with - and even gave me a an Airtasker t-shirt!! Tim S. said “Thanks Tim, was a good drive out to seven hills- traffic was a bit crazy though! Nice car mate, let me know if you need some help next time! Take care. Handout Chocolates to Awesome Startup Crowd!